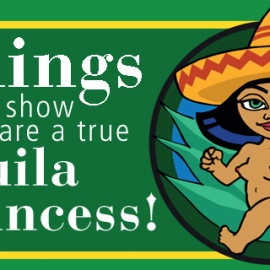 When I first discovered the Tequila Matchmaker app, my initial reaction was “finally something useful!” and later my reaction was one of wonder. It is such a nice little app, and it is quite obvious that thoughts, observations and passion have gone into its making. So I figured I wanted to know a little more about the creators behind this small piece of light in a dark world. 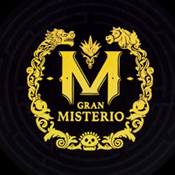 The Tequila Matchmaker app is made by Scarlet Sanschagrin, a freelance journalist and business consultant currently living in Sonoma, California, with her husband and Taste Tequila partner, Grover Sanschagrin. 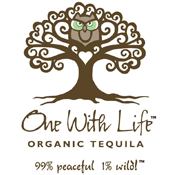 Grover, a former photojournalist turned Internet entrepreneur, discovered tequila relatively late in life but has been making up for it ever since. He is co-founder of PhotoShelter and SportsShooter.com, and has worked in management roles for several large-scale Internet companies including Quokka Sports (NBCOlympics.com, FinalFour.net), and the Chicago Tribune. 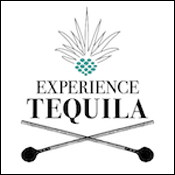 Q: The Taste Tequila show (The first website of the Tequila Matchmaker team) and website is nice with its small segments of tasting experience. There must be a good amount of work going into the project with video, scripts and all. When did you decide to start Taste Tequila? 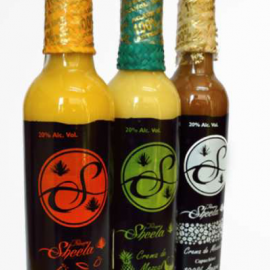 Scarlet and I decided to start TasteTequila.com in 2009, before we were married. It was a way to keep track of what we were learning about tequila as we were drinking it. We never intended it to be more than a personal journal, and didn’t ever think that people would be interested in what we were saying. We later found out that people were indeed interested, so it quickly grew. 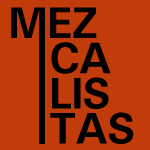 Q: Tequila has been on the rise for a good many years by now, and Mezcal certainly is too. One might imagine that the rising consumption might put pressure on the denomination standards. 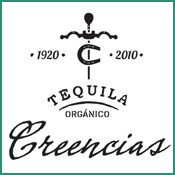 It is difficult to imagine that you are able to sate the giant Chinese market and still respect the strict standards of 100% Agave. 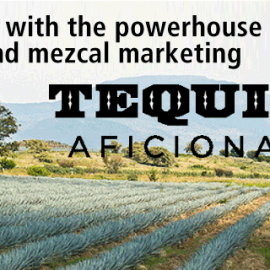 How do you envisage the future of tequila and mescal? 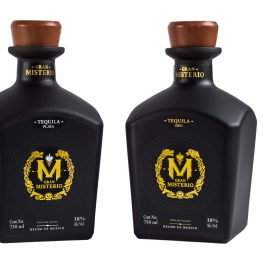 I think that the popularity of tequila has created some challenges for the industry, but going back to the days of mixto (non-100% agave) isn’t possible for the premium market. 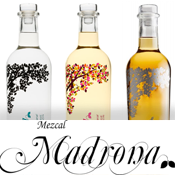 The current shortage of agave in Mexico is the biggest issue right now. 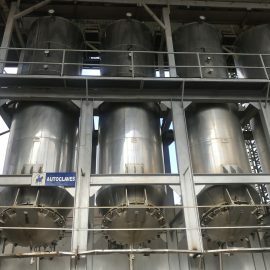 Brands are responding by using large and industrial diffuser machines, which are capable of extracting every bit of sugar out of an agave plant. This technique isn’t popular with people who love small batch product, but it does mean that the market can scale without resorting to mixto. Agave shortages happen on regular cycles. Farmers plant agave when the price is high and supply is low. 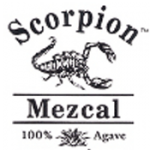 Then, 8-years later, there is a glut of agave in the market and the price drops dramatically. Farmers respond by not planting any more agave, and 8-years later another shortage is born, and the cycle repeats. 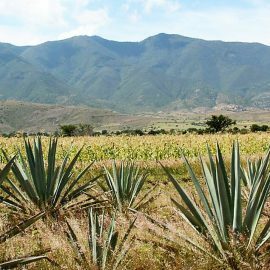 Several big brands, including Patron, have recently attempted to stop this cycle by offering a minimum price for agave, so farmers can feel confident that they can plant agave and still make a living. 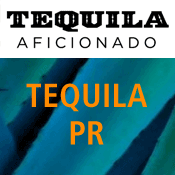 This means that in times when agave is extremely cheap, brands like Patron will pay more than market price. Hopefully this tactic will end the cycle. 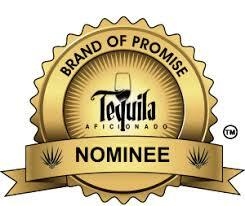 The future of tequila, in my opinion, remains with small artisanal brands like Tequila Fortaleza and Tequila G4. There is a lot of energy, enthusiasm, and innovation behind these smaller companies, and you can see the big brands making changes in their products as a result of the pressure they are applying. 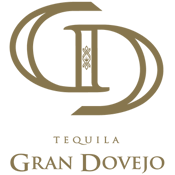 This is different than what is routinely referred to as “Contract Brands”, where anyone can buy tequila in bulk, put it into a bottle and bring it to market. Although there isn’t anything wrong with this approach, the resulting product is rarely different than everything else produced in that same factory. 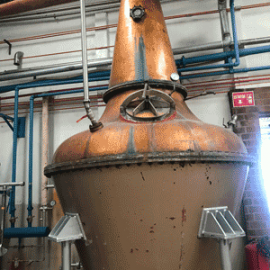 The ones that set themselves apart, operate out of their own distilleries, maintain a unique flavor profile, and have a desire to remain small batch, will be the ones that are most influential in the growth of the industry. 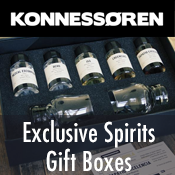 Q: The tequila market seems very much dominated by the big distribution companies – Do you think webshops may eventually pose a threat to established distribution system and their brands? This is a difficult question to answer because the laws and regulations for each country, and each state, county, and city, are different. 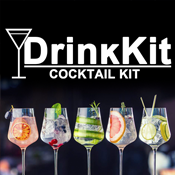 The Internet has made it easier in many cases for people to buy tequilas that are not available in their local market, but I don’t think it will be a threat to the established distribution system. If anything, the established system will modernize their approach and adapt to reflect consumer demand and expectation. Show the world what tequila you are enjoying right now. 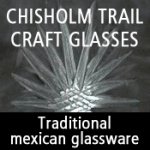 Q: When did you get the idea for Tequila Matchmaker? 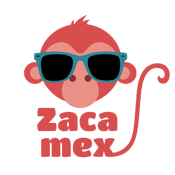 When we moved back to the United States, after living in Mexico for 2 years (studying tequila), we decided to try to put what we learned about evaluating tequila into a mobile app. 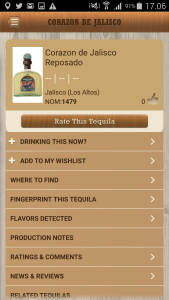 The concept was to make it easier for people to rate tequilas, and if enough people used it, we could develop a recommendation algorithm too. The response was positive, and growth exceeded our expectations. Today we are working on the third version of the app, and a number of new features will be included. As long as there is interest in the product, we will keep growing it! Q: How did you initially get an interest in tequila? Scarlet developed a liking for tequila while she was working as a news reporter for a newspaper in Mexico City back in the late 90’s. When she came back to the United States in 2004, she introduced it to me (we were friends at the time.) It’s been a tequila adventure for us both ever since. 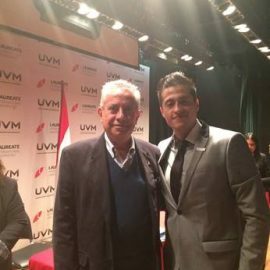 Q: There is quite a distance between liking a spirit like tequila and investing time and money in communicating about it. I have sometimes wondered what it is about tequila that seem to engage people so much. Would you have an answer to that? Tequila is fun, and people like to fun! But, if you look hard enough, you’ll find that there are crazy people like us in every category, niche, and interest. 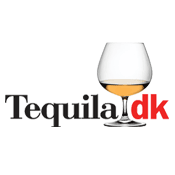 Q: The users may see each others profiles and may recommend tequilas. Do you have any further plans on the matchmaking part of the app? Like improved options for the users to contact each other? We aren’t focusing on the app as a messaging platform. Instead, we want the main experience to be about the person who is using it. 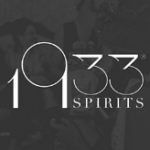 Q: It seems you have some support of major distilleries. Was it difficult reaching them and how did they respond to the idea of an app? 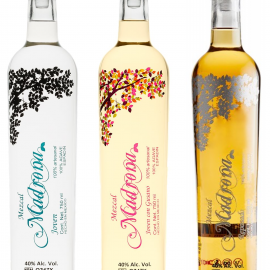 We don’t have support from any distilleries at all. But brands, yes. 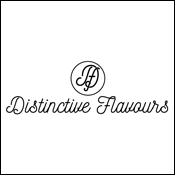 We have a great deal of support coming from brands. This support comes in the form of marketing and promotion, and access to production information and industry trends. 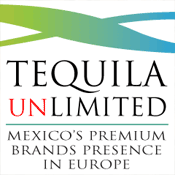 Tequila brands of all sizes are interested in our app, and they pay close attention to what’s happening within the community of app users. 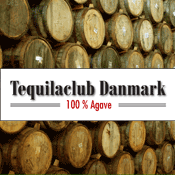 Q: Tequila.net is a major player when it comes to distributing information regarding everything tequila. Where do you see the apps profile in relation to Tequila.net? 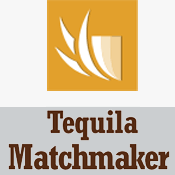 The Tequila Matchmaker is good at making the link between tequila and the user. 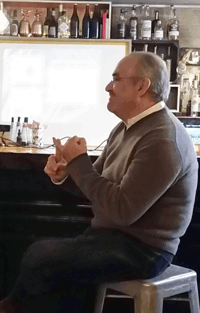 Personalization, and how a person is responding to the spirit is what we are all about. 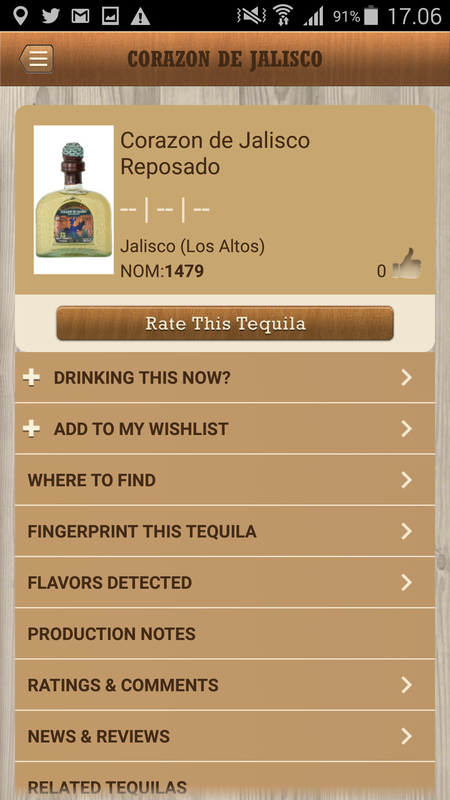 We wanted to create a tool that would allow a person to fine-tune their personal tequila experience, and the app does this by figuring out their palate and making suggestions based on that. This is the feature that makes us unique. Q: I really like the apps cozy interface with wood colors and designs. Did you do the design yourself? Uh oh! We are about to abandon this design entirely with the new version. I didn’t create the design myself, because I am not a good designer. The new version that’s coming is amazing, fast, and easy to use. You should enjoy it even more! Q: How has the users reaction been to the app? Have you had many downloads? User reaction has exceeded our expectations. We don’t keep track of downloads, but we know how many people are signing up. 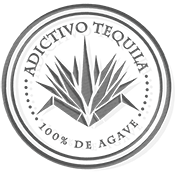 We reached 13,000 active users last month, without any advertising or promotion other than people finding it through TasteTequila.com, and by searching for “tequila” on the App Stores. 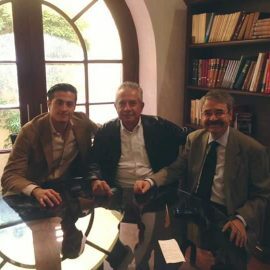 Several important people in the tequila business have gone out of their way to tell us that we are “doing great things for the industry,” and this is always music to my ears. If we are able to help out, even in a tiny way, it’s a success.